How to stay warm this winter without breaking the bank! 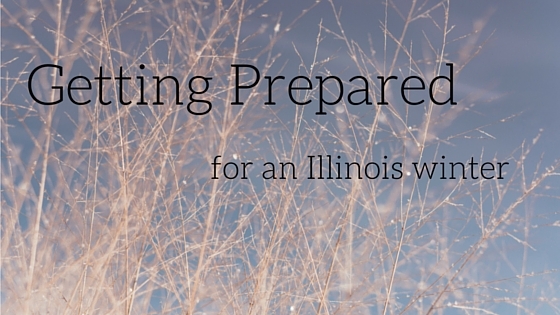 There’s a chill in the air — and it only takes one winter in Illinois to learn that you’ve got to be prepared to make it through these frigid Midwestern winters! We all know about bundling up when we go outside. Ask any Illinoisan and they’ll tell you it’s about putting on layers. But what about staying warm inside your house? Those energy bills can start looking awfully high this time of year. Set your water heater at 120 degrees (warm setting). Cover your water heater with an insulating blanket. Caulk leaky windows and seal up the largest air leaks in your house. Now is the perfect time to get going on these preparations before the temperatures drop below freezing. Tell us your tips and tricks in the comments section! We’ll share the best ones in our next tips and tricks post!